Will “The Night they Saved Christmas be aired in December 2018? I’ve been looking for it! Are they going to show The Night They Saved Christmas in the 2018 holiday? I wish they would. I love this movie. This is an awesome movie! I wish it was available on DVD or blueray. I really missed not being able to see it this Christmas! Please make it available soon. Month With Your Debit Card. Will you please air this again. It is one of my favorite Christmas movies and would love to watch it with my nephew. The night they saved Christmas is my all time favorite. Please Please re aire or make it available for purchase on DVD / Blue Ray. I agree! Hope it’s aired this season! According to Direct TV, this is not airing at 11:00 am tomorrow. We were going to record it but it seems they are playing movies that have aired already 20 times. Will it play at any other times? Hi Katina – we have DISH and it is showing at 11am ET tomorrow for us. Make sure you are checking the Hallmark Movie Channel (HMC) as it is different from the regular Hallmark Channel. Back in November someone asked abt the Night They Saved Christmas when it was going to appear but I have not heard or seen anything. Please tell me it will be on this holiday season. This is one of my favorite holiday movies. I will be anxiously waiting. Since I was a child with my family. I want to continue that with my kids now. When is The Night they saved Christmas coming on for 2013. What time and channel? 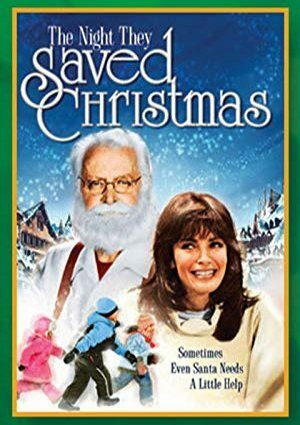 When will “The Night They Saved Christmas” (1984) appear on TV during 2013 and on which channels?